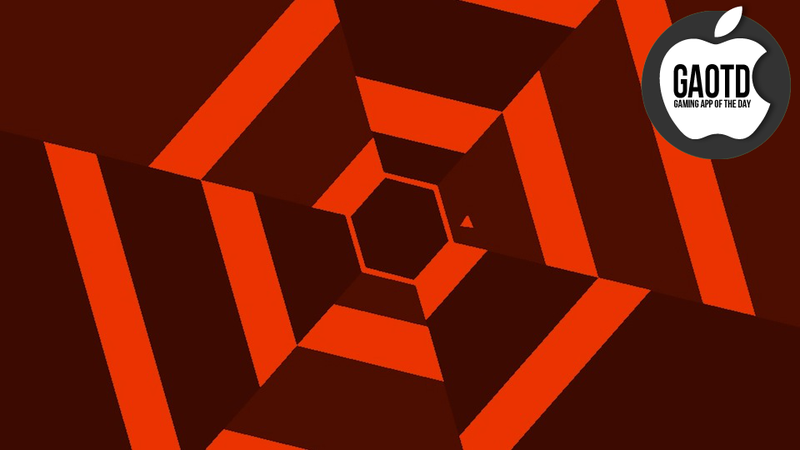 You Probably Can't Last 30 Seconds In Super Hexagon, But Buy It Anyway. After two weeks of careful study, I have determined that Super Hexagon is the bullriding of video games. It may not look it. It may look and sound like an old Atari game that fell through a timewarp and re-emerged on the iTunes store today. But it is, in fact, an experience that will break you, repeatedly. It is a game that you will only be able to handle, at first, for five seconds. Maybe six. Super Hexagon is a brilliant little game from Terry Cavanagh, the sadistic creator of the tougher-than-Mario sidescroller VVVVV. The game is as simple as it looks in its trailer. You control a little triangle and rotate it through a maze that is constantly converging toward the center of your iPhone or iPad screen. Anyone can make a game that is brutally tough, but it takes a craftier individual to make one that I won't stop playing even as I fail again and again. I credit the graphics, which spiral and pulse in a way that will make you think you're being hypnotized. I credit the controls—press on the left side of the screen to rotate the triangle one way; press on the right to go the other way—which seem digital but reveal themselves to be deeply analog. I credit the music, the voice-acting. Hell, I credit the whole thing. This game is worth well more than the 99 cents being charged for it. If you have an iPhone or iPad, not getting this game would be a grave mistake. Pay the dollar. Get on this bull. See how long you can survive.